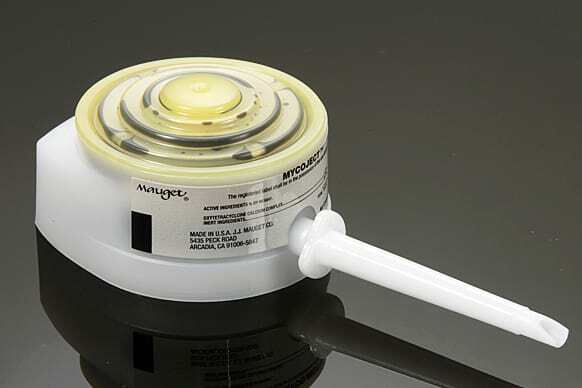 Mauget’s new Mycoject Ultra is a micro-injected antibiotic with improved solubility using Oxytetracycline Hydrochoride. A systemic aid that suppresses Mycoplasmas, Yellows diseases, as well as xylem-limiting bacteria such as Xylella fastidiosa (Bacterial Leaf Scorch), and certain bacterial blights. See Label for more specific details. One of a small number of antibiotics available to tree care professionals.